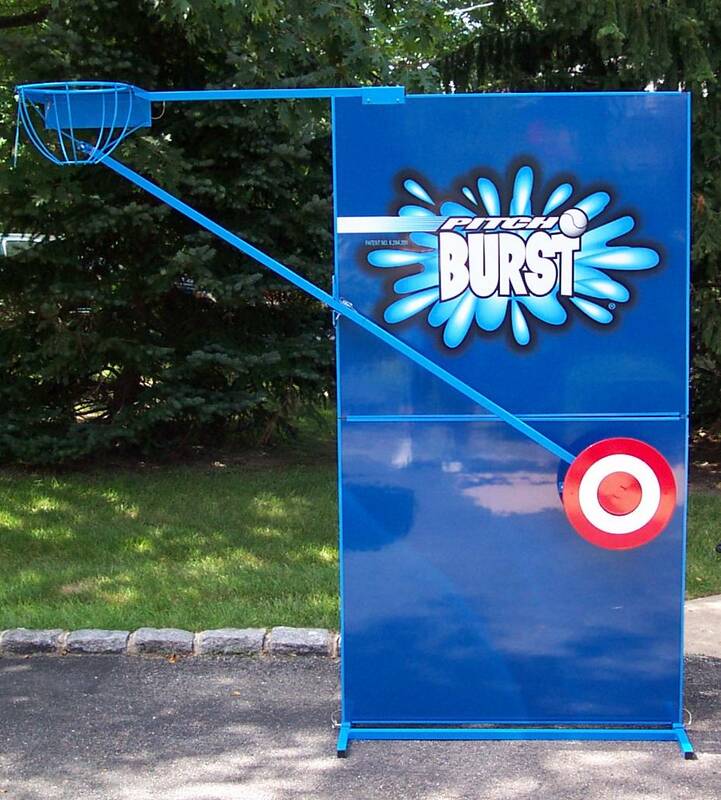 People worldwide love to play Pitchburst® (our original dunk tank alternative); at parties, fund raisers, carnivals, fairs, festivals, corporate events, and more. 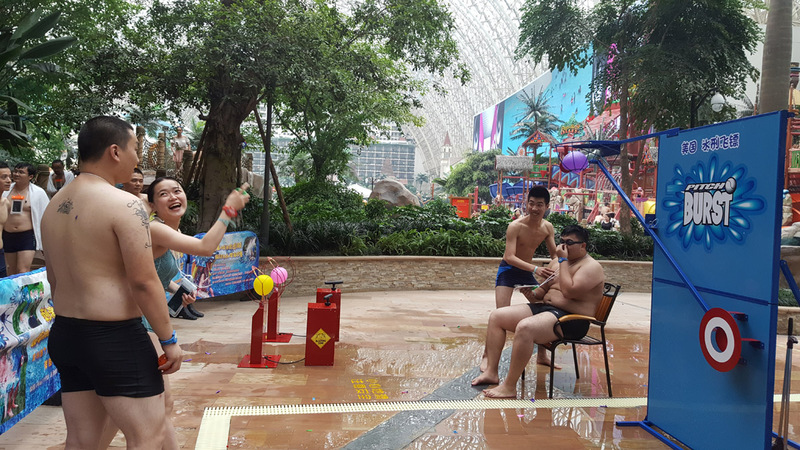 It’s safe and simple to play – pitch a ball, hit the target, and SPLURSH! – a water balloon bursts overhead. 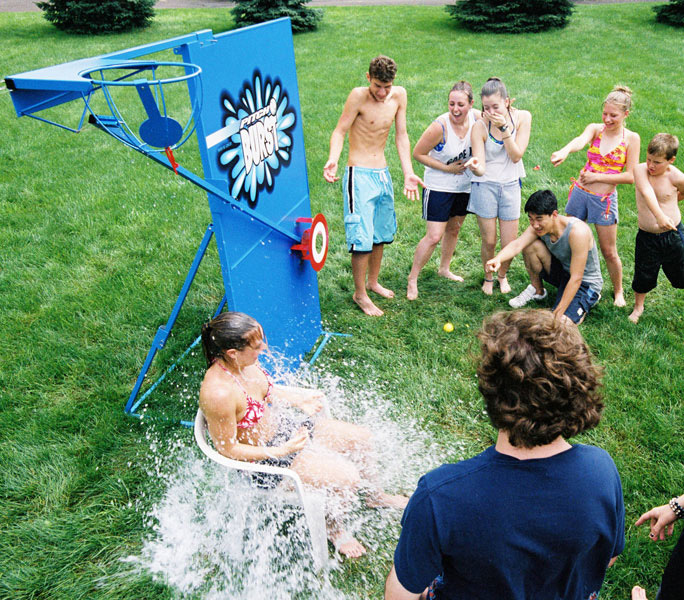 Pitchburst® combines the soaking fun of a dunk tank with patented, go-anywhere portability. 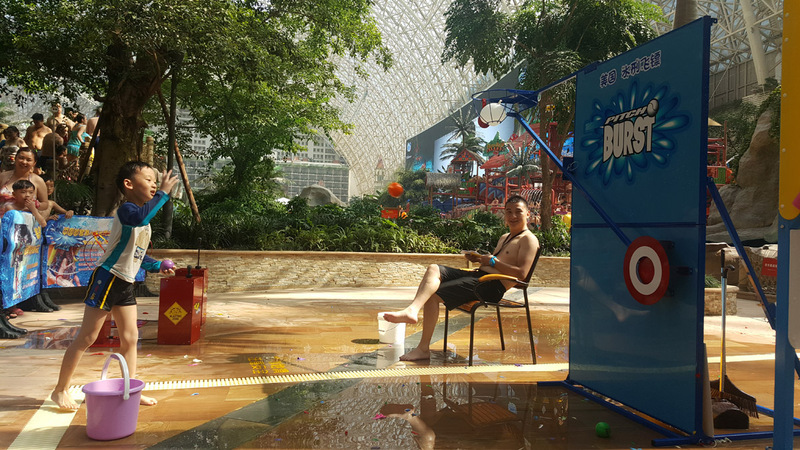 So unique, it’s been called “the 21st century dunking booth”. Disassembled: Main 2 panels and base structure approx. 41″ high x 40″ wide x 1″ deep, basket, target, and diagonal arm disconnect and are stored separately.